A proactive and positive approach is applied to the total interrelationship of several essential areas: nutrition through natural foods, advanced dietary supplements, proper mental attitude, stress management, exercise, and upper cervical chiropractic adjustment, which opens nerve energy flow throughout the body. Combining this group of disciplines with skill and experience results in treatment in which the whole is greater than the sum of the parts. The multilayer approach developed by Dr. Rickards is the most effectively known methodology for supporting and enhancing the human body’s own ability to heal and thrive. 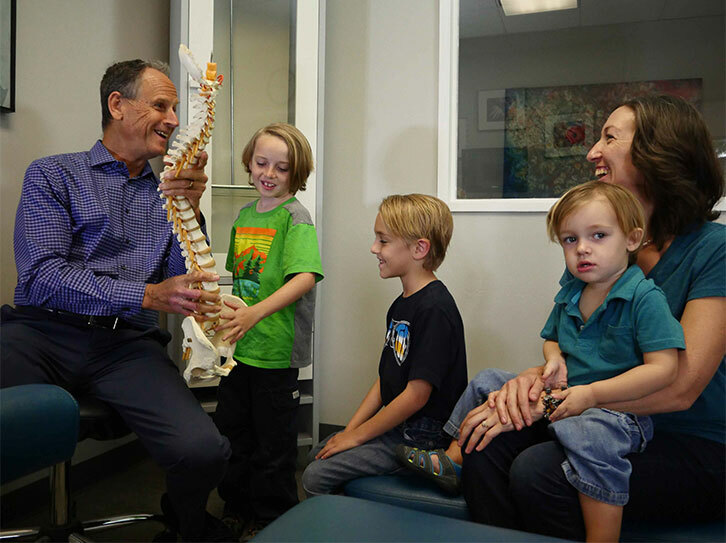 The ‘science of innate healing‘ – the culmination of Dr. Raymond Rickards’ 39 plus years career – has resulted in real improvements in the lives of thousands. Are you ready to accept increased health and ability to enjoy life? Please read the pages presented here on this web site and then call for an appointment to come in and discuss your plans and desires for health with Dr. Rickards. A first conversation about your health is always complimentary and you are strongly encouraged to take the first step.